Overlooking sweeping golf & water views, this grand ch 226;teau encompasses five bedrooms, five full and two half bathrooms throughout the 8,868 square feet. With the hallmarks of a French castle, this estate incorporates the finest finishes & architectural details. Centered on an elegant fountain, the impeccably pruned garden and travertine patio perfectly frame stunning sunrises and sunsets over Hole #12 of Lake Nona 8217;s golf course. The classically designed interior has volume ceilings & custom arched windows that fill the home with natural light maximizing the home 8217;s sensational views. A gourmet kitchen boasts 2 ovens, dishwashers & Sub-Zero refrigerator; 3 sinks; propane gas stove & griddle; wine fridge & walk-in pantry. Upstairs, the master suite features breathtaking views off a private balcony, fireplace & 2 expansive closets with organizational built-ins & a laundry station. The master bathroom includes marble vanities & floors, water closet with bidet, raised Jacuzzi tub & walk-in shower. The second-story great room serves as a great alternative entertaining area and includes an office, library, family room and refrigerated wine room. Unique features of this home include UV protected windows; AMX home control system; dog washing room; summer kitchen; an attached handicap accessible in-law suite with separate front entrance; formal dining room; elevator & a 3-car garage and golf cart garage. Please, send me more information on this property: MLS# O5714607 – $2,425,000 – 9270 Sloane St, Orlando, FL 32827. 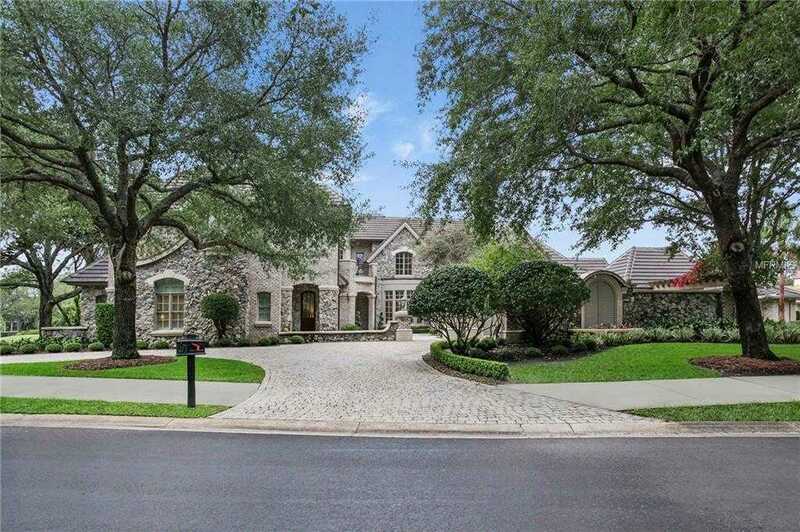 I would like to schedule a private showing for this property: MLS# O5714607 – $2,425,000 – 9270 Sloane St, Orlando, FL 32827.